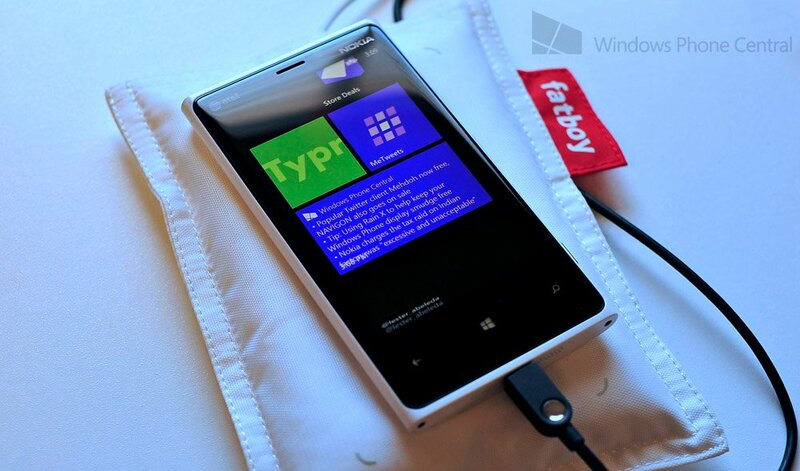 Can you 'supercharge' a Nokia Lumia 920 with wireless and wired charging? Such is the case with this scenario: You toss your beautiful Nokia Lumia 920 onto the Fatboy wireless charger to get some juice. But you also have a USB AC adapter standing by...what happens if you plug that in? Will it charge off of both, making it “go faster”? Or does one take priority over the other—and if so, which way? So, will double charging your Nokia cause the earth to crack, the seas to boil? Or will your phone to get a rapid charge? Even Nokia’s PR via the ever witty Doug Dawson, was unsure of the answer to our request, noting that we have defeated him and he has to “check with some folks in Finland.” Huzzah! There you go, right from Nokia. It is interesting that wireless charging, which admittedly has less output than wired, takes priority but that’s how it works. In short, if you want the fastest charging then a higher current AC adapter will be your best bet over a wireless charger. But if you want convenience, you should opt for the Fatboy , Plate or Stand.